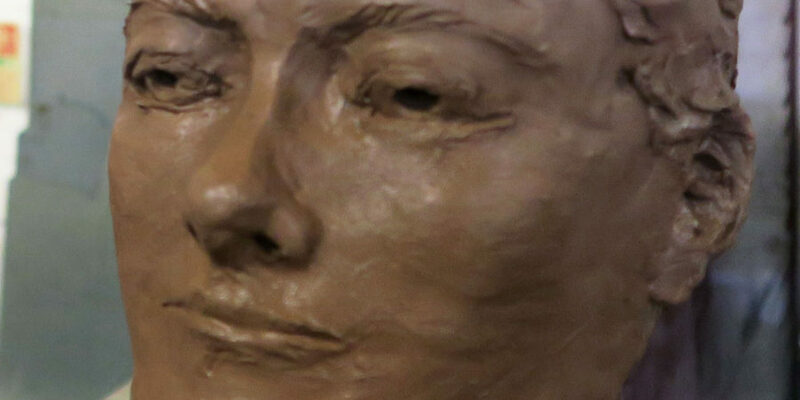 The Portrait Sculpture course is drawing to a close. I shall miss it. 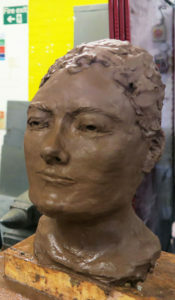 I’m no Jacob Epstein but I am quite proud of the second head I completed this term, which is near life size, and actually bears s ome resemblance to the model. Last session, we spent the two and a half hours just getting the eyes right. Intense work. If you get them wrong, the whole head will be a failure. Never mind how good your ears or nose are. It’s not unlike repeatedly going over a piece of writing trying to get the words and rhythm of the prose right. And of course, I’ve been storing away the experience for future use. I’m writing an article about being a life model for a woman’s magazine and another, I hope, about art therapy. Art classes are promising territory for a writer. Listening to the conversations of other students. Talking to the life model about what she thinks about while sitting, lying, standing or in whatever pose she’s put in. Also it makes you think much more about the human body and the head in particular. I’m always looking at people’s heads now and the proportions of their faces , measuting them wth my eye as a potential model. Not that I’m ever likely to do another head. My main problem: where the hell do I put it?